Buy Your Choice of a Brand New Pair of Yves Saint Laurent Vintage Sunglasses Collection VII ! 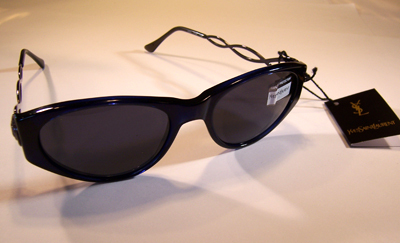 Purchase one of the following Authentic and Rare Yves Saint Laurent Vintage Sunglasses from the 1970's to 1990's! Yves Saint Laurent Sunglasses continue the Yves St. Laurent style, dominating the timeless yet ever-changing melodrama of what’s new in eyewear. These Sunglasses bring the very best of Paris’ cutting edge to your doorstep. An additional fee of $20 will apply for delivery to Hawaii, Alaska, Puerto Rico and Canada and will be added to the fulfillment record prior to shipping. We will be unable to accommodate deliveries to any other international destinations. 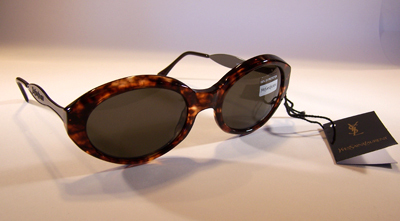 Yves Saint Laurent Vintage Sunglasses - 6553 Y555 (more info) — only 2 left! Yves Saint Laurent Vintage Sunglasses - 6555 Y750 (more info) — only 4 left! 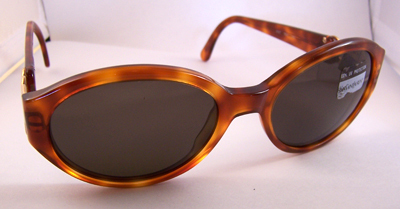 Yves Saint Laurent Vintage Sunglasses - 6556 Y506 (more info) — only 2 left! 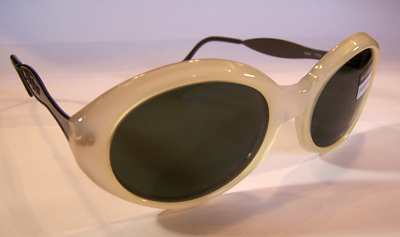 Yves Saint Laurent Vintage Sunglasses - 6556 Y753 (more info) — only 1 left! Yves Saint Laurent Vintage Sunglasses - 6557 Y501 (more info) — only 6 left! 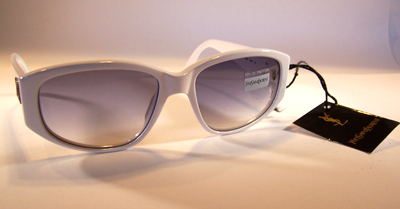 Yves Saint Laurent Vintage Sunglasses - 6557 Y506 (more info) — only 1 left! Shipping & Handling: $10 within the contiguous United States. If shipping to Alaska, Hawaii, Puerto Rico, or Canada $20 additional.